You do a lot. Or as one of my daughter’s would say, “A lot a lot!” From the time your feet hit the ground in the morning until they slide back down between the sheets at night, you’re busy. Busy with children and housekeeping and answering questions and cooking and cleaning and being available for your husband and… yes, I know, I’m preaching to the choir here. Amen sister? After a few years of service to your family you may start to feel as if you’re running on empty or fumes at the very least. If so, you’re in good company. I’ve been there too and please know you’re not alone. Whether it’s Facebook or blog posts the advice given is well meaning but often unbiblical and/or misguided. Here is what is unbiblical or misguided about these solutions: they are all a temporary fix. But wait, there’s more. What also troubles me is that these typical responses echo the world’s responses. Very rarely is a solid, Biblical solution offered. To be sure, I googled “running on empty mom” and on just the first page alone I found several blog posts with ideas on how to recover from running on empty and most of the responses matched those above. This blogger (while her motivation is to encourage) writes to moms who’ve “lost their identity” by suggesting they “Workout, read a book, plan a date night, create goals…” Many of the same recommendations that Christians give. Moms who have lost their identity? Our identity is in Christ, not the role He has given us to fulfill. And empty is empty. If you are living life with little to give, you are running on empty and empty doesn’t get filled by watching movies, sending the kids to grandma’s house for a few hours or updating your nail polish. All that is-is escapism and covering up the real issue… the why. Standing in front of the washer turning dirty socks right side out over and over again, or cleaning the kitchen only to turn around to dirty dishes in the sink can be draining. Spending an hour cooking a dinner your family whines about once served or waiting for your kids to put their shoes on for every.single.stop you make while running errands can also be draining if you desire what is not yours. Simply put, when you want more than motherhood, marriage and homemaking you may want more than the LORD has called you to and that spurs frustrations, unhealthy longings and is an awful drain. You may also feel or have been told that you need or deserve time to yourself, or worse yet, the Christian woman’s mantra: “You need to pour into yourself to pour back out.” Nonsense. You need the LORD, His Word and wise council, not an hour and a half to watch “Moms Night Out” without interruption. *Note* The idea of putting ourselves first so we can care for those around us has all the best intentions. However, it falls short. That advice is, again, only a temporary fix. The Bible tells us in Ephesians 5:18 to be filled with the Spirit. Galatians tells us to walk in the Spirit. And the example that Jesus gives is prayer. When our LORD spent time alone, he wasn’t exercising, reading a book or sipping tea. He spent that time in prayer. The first Biblical response and solution to running on empty is to be thankful. Yes, being thankful in all things is Biblical too, but not presented as a solution to feeling empty. You’re in no better position to be filled by the Holy Spirit than when you are emptied. This isn’t a despised condition. The second Biblical response/solution is prayer. Pray without ceasing. A prayer filled life is your defense against hopelessness and emptiness. Third, renew your mind. Quit reading how to fill yourself, quit reading about how you need to put yourself first (an utterly unbiblical idea), quit thinking so much about you. Instead, read Psalms. A lot a lot. Over and over again. Fourth, seek joy, pursue it. And an insider tip… joy comes from serving others with the right heart attitude and mindset. Serve joyfully expecting nothing in return. If this sounds way out of your grasp, read it again. Maybe not today, but in a few days come back and read this over again. If you are a child of the LORD, the only way to combat emptiness is to be filled with the Holy Spirit and continue in the good works of loving your husband and children and being busy in your home. When I feel out of sorts or overwhelmed, I turn to His Word and practice quietness. A meek and quiet spirit is precious in the sight of God. I also mentally step back and re-evaluate some priorities and can quickly see I’m spending time on the wrong pursuits. When you love your family, do the good you know to do, and continue in prayer… you will be filled and it won’t be temporary. If you enjoy taking walks, reading or anything else I mentioned, wonderful. I did not say any of those were wrong to do when you’re feeling overwhelmed or drained. However, if you are using any of those as a means to re-fuel your spirit, your efforts are in vain. Those are a temporary fix. Thinking that you deserve time away from your husband and/or children and that will give you peace, cure your overwhelm, or alleviate that running on empty feeling, you are mistaken. Again, it might appear to help for a while, but you will never get past those feelings without some work on your part and without the LORD. If you are running on empty and the solutions I listed “don’t work,” perhaps there is more to the issue that you are experiencing (1. the children are unruly and walk all over you, 2. your see your husband as needy or demanding or unkind, 3. your house is a complete mess, etc). I would say, you’re right… praying alone doesn’t fix that and I recommend that while you continue in prayer and thanksgiving you also 1. focus on training your children, spend your time with that and nothing else but the necessities, 2. love your husband more, be kind to him and think less of yourself (if there are serious issues, that is beyond the scope of this blog, please seek help from church or close friends, 3. declutter, a lot, get rid of what is causing your home to be overwhelming. Create a place of peace, it may be difficult for you to get rid of things you’ve hung on to for a long time but is most likely necessary if you feel that leaving your home often is the cure for you overwhelm. Your husband and children likely feel overwhelmed there too. Faith apart from works is dead. Fervent prayer and thankfulness should be your first step, followed by the actions I recommended. Thank YOU Thank YOU Thank YOU for this article from THE LORD……..In Prayer, God has been instructing me to do these things in HIM….I read Psalms a lot, Psalm 91 a lot…….God has had me in Psalms & Isaiah for a Long Time….Also, to Love My Family & to Pray & Believe in the Holy Spirit within me to Encourage & give me His Desire to be His Faithful Servant in my Home……..Praise, Worship is a Big Part of my Life…..Thank YOU so much for confirming this to me……..I am trying to subscribe to Your Blog, but so far it will not accept it…….Will keep trying…….GOD BLESS & Love & Hugs sent your way………. This is absolutely wonderful advice, Jennifer! I hesitated to reply to this. This is the ongoing battle in my head and while I agree with what you are saying, I also want to point out that while we are so busy taking care of others and not taking care of ourselves and continuing not to take time for ourselves, our health fails us. Mentally and physically. There is such a thing as being so physically tired and stressed (oh how unbiblical to be stressed per so many bbiblical women trying to steer us right) that our bodies fight back. We are human. Not immortal. Our bodies do need occasional breaks no matter how “temporary” of a fix you deem that. I pray that you are mindful of this while continuing your journey with the Lord and do not belittle other women’s needs and push them further into poor health . It is biblical to go away alone to pray and be with God, also, so maybe alone time for the right reasons isn’t so bad after all. Besides, we should all continue to pursue hobbies. Our children are not with us forever. Sorry for any typos. Phones are not easy for this sort of thing. Thank you for your comment. There is most definitely “such a thing as being so physically tired and stressed that our bodies fight back” I agree. Stressed by biblical women trying to steer us right though? If that is happening to you I wholeheartedly encourage you to quit reading blogs, and participating in FB groups if you do. Read just your Bible and ask only your husband questions, which is biblical. Please don’t think I’m being sarcastic, I’m not. I truly recommend if anyone is stressed by trying to follow other women that they quit immediately. You also mentioned that “our bodies do need occasional breaks,” and I agree with that too. I’m not sure how it was assumed that I suggested rest was wrong. Sleep is very important. And I also agree that it *is* biblical be with God. but don’t agree that a mom has to go away or be alone for it. Any of us can cry out to God and pray even in the midst of screaming children, etc. Lastly, this post wasn’t about pursuing hobbies or knocking the pursuit of hobbies. Hobbies aren’t a cure for drained mothers though. I understand what you are wanting your blog to say, but do no feel it came across that way at all. In fact, it reads that “if you feel you need a break, you’re wrong. Pray more and that will go away.” Im agreeing with your statement that we focus too much on ourselves in todays modern culture. I’m talking about the way this was written is very easy to misunderstand your point because you cloud it with what sounds like judgement that could potentially cause hurt for other women instead of speaking it in love with encouragement. Just a perception. I can agree to disagree, though. We sure do, Shelby… “focus too much on ourselves in todays modern culture.” So true! Honestly, if I wrote it a different way it would have still been misunderstood by someone. I’m just not able to cover all the bases in a 900 word post. And since I wanted to drive home that point “When you are drained, bubble baths and long walks – while enjoyable for the moment- don’t bring true restoration/rejuvenation, only Jesus does.” I wrote what I did, and tweaked it, and prayed about it, discussed it with my husband and tweaked it some more and prayed some more. Was what I wrote judgemental? Yes indeed! It was judging and a warning on popular advice and thinking of the day. Telling wearied women they need MORE time to themselves is hurtful and leading them astray, I wrote to combat that. Shying away from sharing truth with discontent women is unkind. Following the LORD and His commandments brings peace and satisfaction, and again, “me time” doesn’t. We need time for Bible Study and going deep into the word. But, we also need time to do the things we love. Walking. Walking is an awesome way to connect to God. It is also a great stress reliever. What is wrong with your husband taking the children out ?Or date nights.? Or just doing your nails if that is what calms you? I agree. I think it’s easier to preach it. Taking some time for myself to not have to be 24/7 mommy to my ten children under 13… Its renewing, for me. Which, enables me to collect myself and be a better mom. Of course you should pray and be thankful and stuff… but those things don’t make the overwhelming go away. Someone can be thankful, but overwhelmed and needing a break at the same time. And just because a woman is overwhelmed doesn’t mean she’s lost track of her identity in Christ, or that she’s serving for the wrong reasons. Sometimes, the rest has to be physical or mental, too. Not just spiritual. Because, we are physical and mental, too. Not just spiritual. No amount of praying or being thankful is going to change that. Not here on this earth. Eating food is a temporary fix to hunger, and sleeping is a temporary fix to fatigue, but folks still do it. They have to. Because sometimes it’s necessary to find temporary fixes in this temporary world. Even when it comes to mommy overwhelm. *I do agree that if you’re neglecting Christ in favor of you’re recharge time… that is a problem, but it’s a problem separate from the fact that many mothers do need time to just not be mommy for a while. This is a sensitive topic to address and I’m grateful for your courage. It’s hard to hear that we need more than ourselves, it’s hard to be corrected when we are feeling low. But you are right on point. We need to be a people who are not afraid to do what is hard. But just as I have experienced, that is easier said than done. Thank you for the encouraging way in which you address what’s hard to admit. We sure do need to do what is difficult, and right. Taking that narrow road rather than the wide road has never been popular, but oh so life giving! What truth! WHAT TRUTH! Thank you sweet Jennifer! Actually, trying to fit in all those things, sounds really overwhelming. Being grateful I can work on while sweeping the floor and rocking the toddler. Much easier. Thank you. It really does, doesn’t it!! Thank you! I agree with the spirit of this post and the wisdom of the potent and rare biblical advice… like rubies to be gathered in a safe place in one’s heart and mind. On the subject of “recharging”, though, I wonder if it can be seen in another sense that isn’t self-oriented and shallow like the popular self-care advice. There might be an issue of introverts needing time for a quiet atmosphere. I know a godly lady with three children (a widow at a young age actually) who instilled a one or two hour (I don’t remember which it is!) quiet time after lunch. Everyone chooses a quiet activity for this time. She regains perspective and recharges, etc. during this time, probably needed for introverts. I find that I don’t need to schedule time away but that the day gives pockets of time to read, to think, to make things, and to pray–the last one is so naturally done while working on something with hands, like cleaning the kitchen at the end of the day, or maybe it would be early in the morning for early birds. Even with this possible caveat of a different sense of recharging, I think the article is much needed and ultra-wise. Really, the point of the post is more valuable than any exception to be conceived. Truly, when you take from God’s hand all that you need, He does give the rest you need, maybe in the form of a rhythm of activities. Personally, I don’t have babysitters, a cleaning person, an out-of-the-house job, or anything like that. 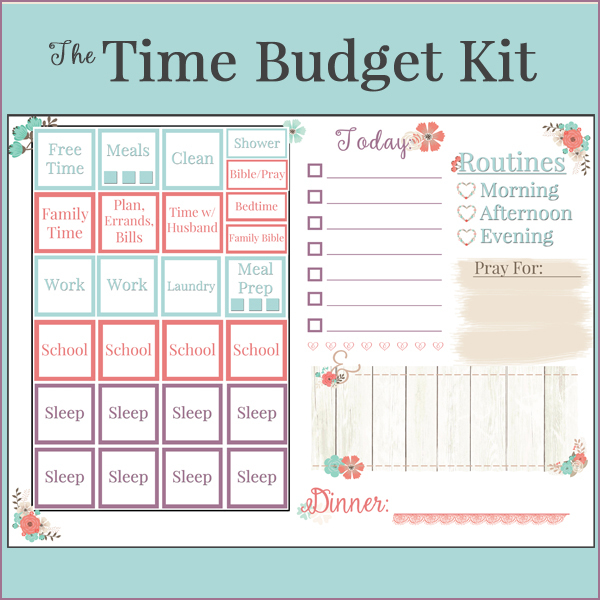 We plan to homeschool (our girls are ages 2 and 3) and teach about quiet time so that they gain a sense of being able to do that without strain or unease (such as a craving to always interact and talk). A couple of lines from a song come to mind — “All I have needed Thy hand hath provideth, Great is Thy faithfulness, O Lord, unto me.” I think He does give what we need when we seek Him and His Kingdom first, and of course, He KNOWS what we need more than we even do. We can’t forget to cast our cares upon Him and ask for help either. He knows how to give good gifts to His children — maybe it would wisdom like offered in the post or maybe the wisdom on how to organize the day to get a good pace and rhythm. Taking the girls out for a walk offers me time to look around and think. It is a creative way to be together and to have a chance to regroup (for me and maybe even them, too). Sometimes I ask my three year-old to remember the balance of talking and being quiet. I value being mindful of others’ space and don’t want her to mindlessly fill the air with constant chatter, but to think of how others are receiving all the chatter. We talk and I listen to her and answer questions but if the balance gets to be 90%+ her talking without a break for an extended amount of time, this is a teachable moment to think of others. The other extreme would be if I always ask her to be quiet, which would mean I’m not thinking of her, also bad. We’re learning to be in the ecosystem of a family. Give and take, talking and listening and sometimes just having quiet time. Honestly, another pocket of time I find is when papa comes in and it is 100% silly time with him. I get to step into the kitchen and unload the dishwasher or tidy the bedroom and take some deep breaths to relax and renew my mind. It all works together. Then I join them and be silly, too. The check-point for me is remembering when I had my “perfect” little apartment all arranged just right but… I was all alone. No husband, no children, just a full time office job. Leaving that was a deliberate decision, so there are no regrets. When I get overwhelmed the reminder of that static life makes me relax and be patient since this is so much preferable to just staring out the window wondering why I wasn’t married. One day I was in my little light gray, peaceful cubicle on a break from work reading an old Victorian housekeeping handbook on the internet and read this line, “THE HOUSEHOLD. It is […] there that woman finds her chief sphere of duty, as the helpmate of man.” And it went on to talk about domesticity, and I pictured a dome… sphere, dome, home… And it all clicked that *that* is what I wanted–this is heaven. So I am so blessed by gaining from Jennifer’s wisdom as a “senior-level adviser” on household and family matters. One thing that stood out to me in the DVD’s is how well the children behave and have been wondering about discipline insights, in addition. This topic might be directly related to how frazzled a mom is because the better you invest in discipline, the potentially more smoothly the day might go. I have a lot of kids, and most have special needs. I have felt drained, and even if I get a day to myself, it has just been building a draining and defeated feeling. I needed this. I feel better just reading it. I get tired of hearing “reduce your stress, make time for yourself, and go to a salon.” These are useless to me with the high needs of my house, but getting the recommendation to do being my “saving grace” but knowing I can’t….leads to even more of a defeat. I have been to a country where the people live in extreme poverty and work 18 hours a day, and still had such a joy about them. I know they struggled with the toll poverty was taking on their health, home, and safety, but they never needed time for themselves. Their faith was enough. Wow! I LOVE real biblical advice like this! Thank you, Jennifer! God bless you! This was a great post! I agree and have also written on it before. I’m glad to see this today. Complete surrender to the Lord is the only fix, I completely agee with that! I absolutely agree that the only way we feel satisfied deep in our soul is to connect with our Lord which entails gratefulness, study in His Word, and much much prayer. However, as a mama who has raised three littles within three years of age, in order to hear the Lord, I needed quiet time, too. Now, I certainly felt the Lord’s strength in the midst of the chaos, but I didn’t hear all he had to say to me because he is also a quiet whisper. Being in God’s creation of nature, as through a walk, isn’t a “temporary fix,” for me it is a means of connection. He fills my soul when I am outside. God made us each unique and He fills our souls in unique ways. I understand “temporary fixes,” but what if what looks like a “temporary fix” to you is really helping that person connect to God? We all do it in our different ways. I agree. We need quiet time for ourselves. And we need quiet time with Jesus. You said it better than I ever could. Hi Jennifer, great post! I agree I think there is something wrong with the airplane analogy of “put you own mask on first” or “how can you love others if you don’t love yourself first” etc, is too spirit of the age. Don’t worry about disagreement it’s all good! Thank you for your comment, it was an encouragement. It is the spirit of the age, so much so that many of us can’t get past it to see actual truth. I really enjoyed this post and I read it more than once. I agree we need to surrender ourselves to the Lord. We need to nourish our body and mind with His words. As a women ,a wife and a mom , I still need time to myself. I love taking walks. Yes, I often talk to God while walking. I also enjoy what God has given me. Walking is good in every way. I am a reader. I love to read. It relaxes me. I can also learn from it. When I had kids, my son and his cousins, I seldom needed help. I thrived on my time with them. But every so often, I needed some time away. Getting that time ,meant I was better for it. It helped all of us. I firmly believe in “Me Time” As much as I believe in “Family Time”. .
Wow. Harsh. Truth weaved in there, but harsh. It’s difficult to make a judgement call about a person when we don’t really know the person. We “hear” things through our own grid (our backgrounds, personal issues, our hurts, etc) and can miss the heart of what is being said. I can “hear” the hurt in some of the more negative comments on this post, and can tell these women may have been devalued, suppressed, and possibly marginalized due to a legalism. Jennifer, I probably said “amen” after every sentence! lol It’s not about removing personal time, or not ever having a break, it’s about a heart of entitlement that we have a tendency to adopt if we aren’t choosing a heart of thankfulness and joy. Which is exactly what you said. Don’t worry about the naysayers I totally get where you are coming from! And I completely agree! It’s walking in the Spirit, being filled with Him, not a temporary solution. (which isn’t a solution at all! ) IN that we have so much more freedom, so when we do take those breaks, they are just that. A break. Not a source. He is my source, not my husband, not my kids, not more “me” time. Him. Sweet Tired Mama! Not harsh, but just such a different perspective from what we see around us in the world! Try it out — try making it top priority to study/Bible/pray with God everyday (I prefer morning) for a couple months and pray that he show you what it’s like to “completely” let go of your will for your self. It is so freeing! Remember: “the foolishness of God is wiser than man’s wisdom, and …strength” (1 Cor 1:25) I’ll pray for you the next few days! To offer another point of view, during the time I got engaged, got married, and had two children, I was a volunteer for a Christian organization in Jerusalem, Israel that helped children from Kurdish Iraq and Syria as well as locals from Gaza get heart surgery. We hosted each Kurdish child and one parent (both usually did not speak English) in Jerusalem during pre-surgery, surgery, and post-surgery recovery times. The staff was continually poured out, as we had to be available 24/7, even if we did have official hours, and there were additional demanding and involving staff community duties like cleaning bathrooms, mopping floors, cooking, planning birthday parties, etc. We received a $175 monthly stipend and all other needs were met such as food and a place to stay and any bills that arose during our time there if we didn’t have the funds to pay (student loans, medical expenses, etc.) I mention the economics side to show that it wasn’t a job in which you get a pay check and you clock out at the end of the day — it was a community that was more like a family than an organization. The subject of being poured out and overextended came up a lot. People were exhausted and especially for the single volunteers, there was not a lot of personal time or space. We learned to go to God to be filled in order to do what would otherwise seem impossible. Was this abuse? Or was it a ministry in which we were poured out like a drink offering, broken of self-orientation, and leaned on God? Is being a mom any different? Staff members were required to take a two day retreat every once in a while, so that is one possible difference than being in your own family. But I’d say actually so far being a mom is far easier than volunteering there. Feminist stigmas about “our rights as individuals” didn’t come up in the heart surgery ministry. It was a training ground for sacrificial living. I only included the question, “Was this abuse?” because another commenter suggested that the article is an example of abuse, not because the question occurred to me otherwise. The comment is gone now, though, it appears. This is the best thing about being a mom (outside the Bible) that I’ve read in a long time! Those other things aren’t necessarily bad things, but what you said is true. Priorities! This is exactly what God has been revealing to me. I’m a slow learner though. I didn’t know if I should add anything else to the comments, however it seems like a lot of women get offended perhaps because they misunderstand what the post is speaking of. I really enjoyed it, and I am a tired and busy mama. The main thing I read from this post was that we shouldn’t listen or look to the world’s ways of escaping reality. We can’t escape our realities and shouldn’t want to either. Even if it’s hard we should still look to God for strength, we still should do the work He has given us to do. We shouldn’t compare ourselves to others of this world, thinking they have it easier or better, believing that if we do as they do we will have it better. Because it won’t be. Yes, physical needs are real, I don’t believe this post was negating that nor suggesting that we don’t meet those needs. Once again, thank you Jennifer for real Biblical advice! Whew, yes! Thank you for summarizing the post. If a mom enjoys walks, reading books, date night’s with hubby or anything else I listed in the post… wonderful. There is nothing wrong with any of those and I didn’t say or hint that there was. Anyway… thank you! Well.said. Well done sister. We need more disciplers out there to spread the word 💗. Not so sure. My concern is that “be thankful” “be joyful” are not tangible solutions. I can’t get mentally better because I wish it so…even if I pray really hard about it. Boy, would life be a lot easier if we could! I think the reality as Christians is that our “me time” needs to be framed in a way that benefits both our physical and spiritual well-being. Because if we never take “me time” to go to worship without kids at some point, we forget the joy that services brought us. If we never take “me time” to pray, and reflect alone, it’s really hard to hear God amidst the constant chaos of motherhood. And when we look at what motherhood and family were historically, and what they are called to be.. it is truly about a whole community, a whole village… and our modern society simply doesn’t have or allow for that, and so we find ourselves “running on empty” because we are not living under the guidance of mothers, and mother in laws and sisters and cousins… some of our strongest sisterhoods are virtual (like this group) which, as awesome as it is, does not provide a tangible solution if I haven’t slept in two weeks and my body is physically shutting down. We need look no further than the bible itself, when Mary lost Jesus… and we wonder how this could be so, but it is simply because they would have been traveling as a very large group with everyone looking out for everyone else (of course, He wasn’t really lost after all!). Or how Mary stayed with Elizabeth for three months after Elizabeth had John…this is just what we did, for very practical reasons! And there is final huge reality: one day it WILL be just you. If we only ever see ourselves as our service and martyrdom to our kids and family, when they are grown and gone, or when our husband passes on…what is left? Who will you be? I would say being thankful and seeking joy are tangible solutions. The LORD wouldn’t have said to be thankful in all things and to seek peace if it didn’t produce any fruit. I agree somewhat with the comment about motherhood, family and history. You’re right, and it is so sad and I wish it were different and women weren’t off at careers all day, people need people. But we do live in 2017 and sadly, community is severely (severely!) lacking. Part of the solution you recommend is beyond the scope of this post because as you mentioned, we just simply don’t have strong communities (typically) where we can turn to. Mary lost Jesus because there was that large group. Now we travel alone. Mary stayed with Elizabeth for 3 months, etc and I get it and I agree. We as a culture don’t do that anymore and often it is looked down on. It is sad, so sad. Our LORD came to serve, not to be served. Those of us who are wives and mothers today are serving our husband and children and that is our season so we should be faithful in that. When that season passes we will serve in another capacity, perhaps as Titus 2 instructs and be more involved with younger women. I loved and appreciated this article. I’ve never been a fan of the self-centered focus moms are encouraged to adopt. I’ve been guilty of it, I’m sure, but I’ve never felt like it solved anything. I think it breeds resentment against our husbands and children when we can never get as much me-time as we feel entitled to. Jesus is real to me. His presence and the effect of his work in my heart are a part of daily life. I feel like you were telling women to turn their eyes on him and a lot of Christian commenters were saying that Jesus isn’t enough. Sad. This article was forwarded to me by a friend and I’m so grateful! I absolutely agree with you and I am a mom to 13 kids so yes, I get overwhelmed! I have tried the ” quick fixes” and for me it’s a slippery slope into selfishness. I would have never had the courage to write this so I am especially appreciative to you. The real beauty that we miss when we distract ourselves is the amazing grace that get’s us through. It is a wonderful thing to marvel in all that can get done solely because of grace knowing how small and incapable we are on our own. Like miraculous days where you flop into bed just grateful to have made it through. That is living and it’s often ordinary and frustrating. So often I cannot articulate why I don’t do “girl’s night out” and I come off as the martyr type I know but not many understand that even in my fatigue I am an unprofitable servant and that is gift. Thank you for this In cannot express the joy in finding like-minded women. Wow! Amazing! I saw this in a large Christian family group and the negative down sides to this article so I had to see for myself. I thought well maybe this writer does not have a large family and have the health issues all her children had. I still seed being overwhelmed with all that, but this writer could not possibly cover EVERY mother’s scenario. What you have written and the fact that you have 13 children says a lot. Kudos to you. It was refreshing to read your post. Amen! Amen! and Amen! If we find ourselves empty it’s because we aren’t filling ourselves with the Living Water, and our wells have run dry. We have adopted some worldly mindsets when it comes to self-care. The only real love language is called “Die to Self.” I’ve learned over the years that when I get overwhelmed and start stressing about stuff, it’s red flag to do a heart check. Usually, it’s a good indicator that my focus has strayed off of Jesus, and I need to refocus on Him and be filled with the Spirit. If that’s not the issue (which it usually is), Holy Spirit is faithful to show me. Out of that will flow the fruit of the Spirit, love joy peace patience self-control gentleness etc. My capacity to handle home, work, marriage, kids, friends, family, ministry, etc. doesn’t come from me and focusing on me. My capacity is much larger than I feel at times, and when I stop stressing and just walk in the Spirit, I suddenly find I have so much more time than I thought. Somehow the things I used to think I didn’t have time for, suddenly are done, with time to spare. He gives us a capacity for whatever He has told us to do, and the more I have learned to apply this truth the bigger my capacity stretches. Nothing to it, but to do it. Like I teach my kids, obey right away, all the way, with a happy heart. I do well to remind myself to do the same some days. 😉 One of my favorite words is “capappy” (that’s Capacity and Happy together). Whatever God gives us, He also gives the Capacity and the Happiness to do it. So, let’s just do life filled up with Him and His Capappy. Not some empty substitute. To be honest, I never really feel filled and happy after spending “me” time anyway. It kinda makes me more depressed. I feel so satisfied and fulfilled when I just do life God’s way. I’m actually doing more, but feel like I’m doing less. Funny how that works. Anyways, I didn’t come here to write another blog on your blog. lol Just love what you shared! It really is so much simpler than we make it eh? I understand and respect your desire to live a Biblical life but a woman reading this might take away guilt for considering her needs. I didn’t like your response regarding hobbies above, especially since hobbies ideally focus us on the “good, beautiful, and true” things of the world. What about exercise? Women NEED exercise especially since diseases related to lack of exercise are the leading killers of women in the USA. I agree that we need to focus on our souls and our right relationship with God but a woman is not meant to only be serving others, which is where I think you have gone off mark. I am making one final reply. Kay, yours is the last comment at this time, so my reply is to you. If you understand my desire to live a Biblical life, you should understand why I wrote what I did, speaking plainly about what an overwhelmed wife/mother needs at the foundational level. Hobbies and exercise? While lovely, they will never renew one’s spirit and soul. 1 Tim 4:8 says bodily exercise profits little. And, if we women kept our homes and cared for our children as the LORD intended, we would get ample exercise. 1 Corinthians 11:9 says woman was created for man and in Matthew 20:28 Jesus says He came not to be served but to serve and give His life as a ransom for many. If He is our example, the best thing a woman can do is serve. 1 Tim 5:14 says it is best for younger widows to marry, have children and guard and care for their homes. Titus 2 gives similar instruction to young women. And, serving produces joy which seems to be the opposite of overwhelm and running on empty. I hope you understand. If this is God’s heart, I would speak amiss if I wrote otherwise. Each time a comment is posted, my cell phone chimes as they are linked to my email account. When I can, I read each comment. I didn’t expect to receive so many and if I did not reply to you, I must say, I probably won’t be able to, but thank you for taking the time to write. If your comment was of the negative nature I encourage you to read the post again. Was I really saying hobbies are bad? Did I really burden women with guilt for pointing them to the redeemer of their souls? Was my suggestion to pray, seek peace and be thankful a true recipe for legalism? This post wasn’t: “If you had a bad day…” and if it had been, probably any of those suggestions I listed would do the trick. If that is the issue and a cup of coffee and 15 minutes to “breathe” fixes it, a wife is not running on empty, but perhaps just a little tired. However, if 15 minutes and a cup of coffee only begins to scratch the surface of what a wife needs and she finds that an empty coffee cup at 16 minutes and the return of baby and toddler make her want even more time without her children and more coffee, she most definitely needs something other than those common “running on empty” suggestions listed above. Her life is wrought with overwhelm and chaos, the LORD is where she needs to begin. HE is the foundation of where she starts to put order back into her life. And no amount of coffee, naps or “me time” is gonna cut it. Only a heart surrendered to the LORD will. And don’t think for a minute that He doesn’t hear or answer those prayers. He does and in my experience, His comfort, peace and strength are immediate. How could anyone think a leisurely walk around the block or some bath bubbles would give only what the LORD can. How arrogant! I will not allow devouring comments here or comments that reek of selfishness. Our God IS the only true way to peace and the absence of overwhelm. How dare we suggest otherwise. May each of you be blessed as you serve within the heart of your homes, as joyful mothers of children. Praise Ye the LORD! Thank you for the clarification. 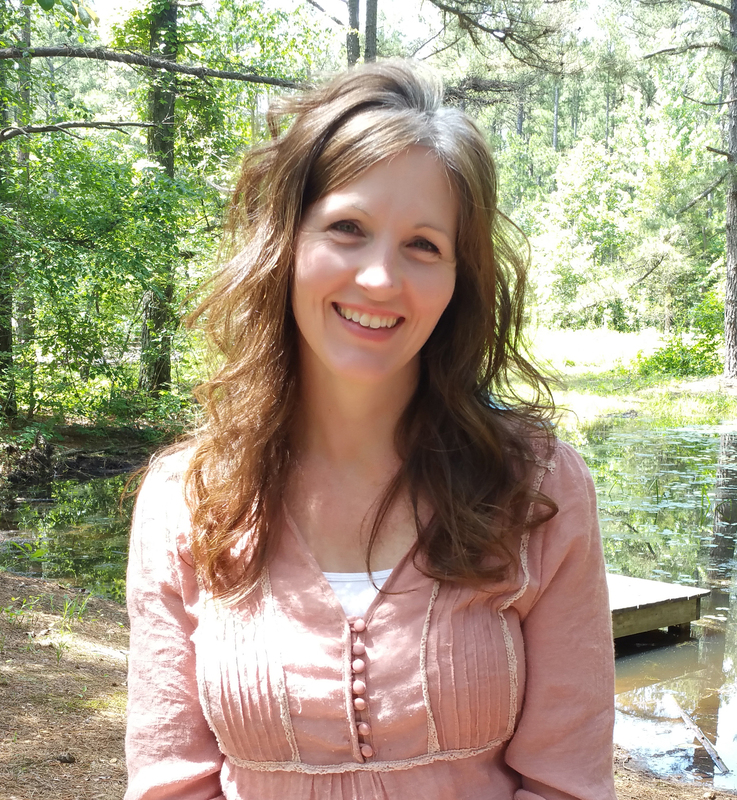 I do enjoy a little relaxation at times and usually at my husband’s prodding, but I was having trouble articulating to some other Christian women recently that ‘me time” might not be wrong, but demanding it probably is. I don’t think they understood. Well meaning friends have been trying to get me to take on hobbies, classes, etc independently to help with emotional struggles and homesickness I am battling. They don’t seem to understand that I am fine with doing some of those things. But I don’t want to do them in an effort to seek fulfillment outside my home. Thank you for putting words to my mental battles recently. It’s much appreciated, but so contrary to what we are told. Sometimes, I wonder if women continue to feel so empty and more women seem unhappy as the years pass–because we are trying to find meaning in our lives and fulfillment in things that are not God’s primary goal for us. Contentment isn’t always easy, but always good to practice. Amen!! My husband also encourages me to get out/ relax, sometimes appropriately, sometimes too much. Have courage, sister! I absolutely love this post! Well written and I could not agree it more. Yes, so true! I have found when I am stressed and running on empty that I have either; neglected to fill my cup at the Well (prayer time), misprioritozed my schedule, or have drifted into selfishness. I have also found that when my motives are not correct, no amount of ‘Me’ time is EVER enough…always wanting 1 more hour. Wow. I really needed this reminder. Thank you. I 1000% feel better and more connected to God when I have time ALONE. As in- my husband takes our son to the park or to run errands, etc. Time alione my sanity. How dare you make a HUGE blanket statement about what connects me/every woman back to God. Also, you DID say taking a walk and drinking tea was unbiblical and misguided. Do I need to quote your own blog? Making the follow up point to “clarify” was just trying to cover your tracks. This post makes it easy for abused women to stay in abusive relationships because you’re telling them to stop paying attention to themselves or their lives. But, the body, mind, AND spirit are CONNECTED. If you’re running on empty for so long, your spirit will suffer. And if you’re being abused, you won’t think right. Because you’re not seeing what is HEALTHY from a wholistic point of view. Jesus IS LOVE. Period. To love ourselves is healthy. To love others as we love ourselves is healthy. If we are constantly denying ourselves basic non-sleep rest, and the ability to recharge when feeling drained, HOW in the world can we truly LOVE and give to our families and others?? I hope you let yourself find joy and peace outside of rigid rules, find Jesus in nature, in the beautiful night sky, in a good talk with a friend, etc. Peace and hope to you. LL and Julie – she didn’t say that taking a walk/drinking tea was unbiblical and misguided. She said the advice that those things AS “Common solutions” will fix you is unbiblical and misguided. She’s right, they are a quick fix, but not a lasting fix. Which means they don’t really fix things, do they? They just relieve feelings of being overwhelmed. She clearly is not against those things (read the other comments), but against those things AS a solution. It’s like the adage, “Aim for earth and you’ll get neither heaven nor earth; but aim for heaven and you’ll end up with both” (paraphrase). Turn to God and His Word *first* and consistently, then the tea breaks, 10 minute naps, walk around the block, reading a good book for a few minutes, will be beneficial. Without the former, no bandaid is going to do it. Get the fundamentals and you can then truly enjoy those lesser refreshers in their proper context and function. Jennifer, this is what we NEED to hear!!!!!! (I don’t think everyone is hearing it!) I posted up above in reply to “Tired Mama” a little about how much I agree with this wonderful article!! I would just include that not just spending time in prayer/etc with him is crucial to our realignment of perspective, but also studying him diligently to see his character and know who he is more and more. I have a dear friend who only reads the Psalms and prays because she’s in this season of her life, and it is doing little other than comforting her feelings-wise (might be her approach within that prayer/psalms, too, granted). Light exposes darkness, and seeing him (Truth) by what he says of himself enables us to see other things. I admit, I need to learn to pray better, and hear his voice better, also crucial things! Be encouraged, Jennifer!! You’re a vessel of SUCH a message! Yes, taking breaks are temporary. So is eating, drinking, sleeping etc. nothing wrong with taking time to ourselves. Ilet’s not burden mothers more than they already are. Loving yourself and taking time for yourself is a blessing to your family. Take it from someone who had a mom who NEVER did because she thought it was selfish. So she poured herself into caring for and homeschooling her 6 kids and was not happy although she pretended to be. We all saw through it and I always wished she would just be happy. I’m doing things differently. I agree that “taking more time for yourself” does not work! If anything, it creates more conflict, because then I get mad when my personal time is interrupted. Spending more time in prayer and the Word are the only things that truly help. 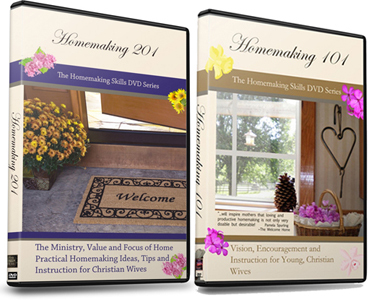 Also, one thing that I’ve had to do is separate myself from women who are very negative about children and homemaking. I’ve learned the hard way that even other women don’t want to see me prosper. Thank you so much for sharing. This is something that’s been bothering me lately, how “me time” is always the given solution. You put it so we’ll, and made me want to dig into the Word and find these answers myself. Thanks. Hmmm. I am also hesitant with what to say with this, except that it just feels incredibly wrong as someone who loves Jesus. Matter of fact He loves us more than we love ourselves and He wants us to be healthy all the way around. I try not to compartmentalize my faith. All the activities listed as “temporary fixes” I don’t think most Christian women view them as fixes. They are simple things needed to live a well rounded, healthy life. God never expected to be overly righteous. But resting in His presence no matter what we are doing. This whole article wreaks of legalism and there are women are are currently fighting a heavy battle with spouses to take 5 minutes for themselves. When they should be able to take hours a week to exercise, to go socialize, to go read a book, to play an instrument. God wired us all with talents and abilities which many times TAKE US OUT OF THE HOUSE, away from kids and away from spouses. As it should be. I think it comes from a good heart that loves God, but it preaches shame to those who actually need to live a more emotionally, psychologically, physically healthy lifestyle. I thoroughly enjoyed this piece and found myself nodding along in agreement with some of your points. However, I did have one question that I hope you will answer – where do you stand on wives and moms attending retreats? Most are geared toward “leave your husband and kids behind” (which really irritates me, since too often my military husband can’t get away from work for me to leave the kids, and even the military spouse retreats don’t offer childcare… but, I digress on that point). But, as you advise, I find peace, strength, and rejuvenation in the presence of the Lord and dwelling in Him. Yet, even attending church with littles doesn’t “do” anything for me spiritually (or rejuvenatingly). So, those times when retreats are offered – and, time to spend quiet, reflective time with the Lord, without little ones pulling at the hem of my clothing – do you encourage (some) mamas to attend those kinds of gatherings? I look forward to hopefully hearing your answer! Very well said. The truth is often unpopular, but very well said. The Lord knew I needed this. I have been escaping my family a lot lately. I am so thankful for you and your Godly wisdom. What a blessing you have been to me. 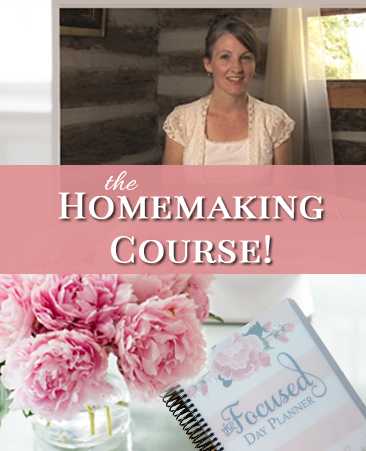 Will you be doing any more Homemakers Academies? I took it years ago, and was trying to rewatch the videos but couldn’t find them. I would love to go through it again.